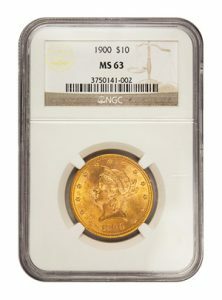 Investment-Grade coins certified by either PCGS or NGC. 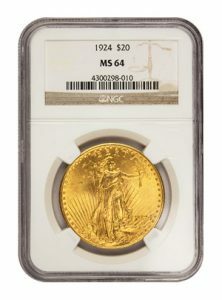 The most popular Mint-State grades traded at RME range from XF/AU to MS-65. Contact RME at (602) 955-6500 for current market prices and inventory. 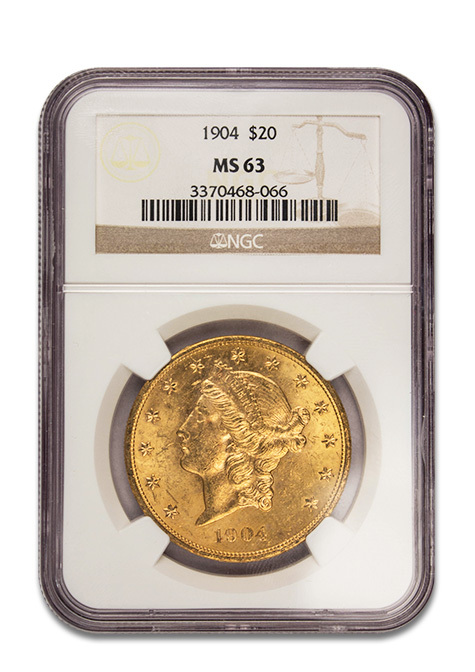 Designed by James B. Longacre, the $20 Liberty gold coin was the most recognizable coin of its day and often referred to as a ‘Double Eagle’ (since a $10 Liberty was referred to as an ‘Eagle’). The obverse (front) of the coin features Miss Liberty donning a crown inscribed with the word ‘LIBERTY’. The date and 13 stars surround her, representing the original 13 colonies. 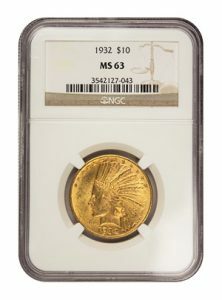 The reverse (back) features a bald eagle behind a striped shield. The words ‘UNITED STATES OF AMERICA’ arc the top of the coin.